Modern twist on traditional swaddling with the ingenious Love To Swaddle UP Warm all–in–one sleep suit. The Swaddle UP Warm is a 2.5 tog swaddle that is quilted from the chest downwards, and padded with breathable, natural bamboo, which creates a warm layer. Perfectly designed for use from birth and has proven to help your baby sleep better and for longer. The fabric is a single layer of breathable natural cotton which aids temperature regulation and control. 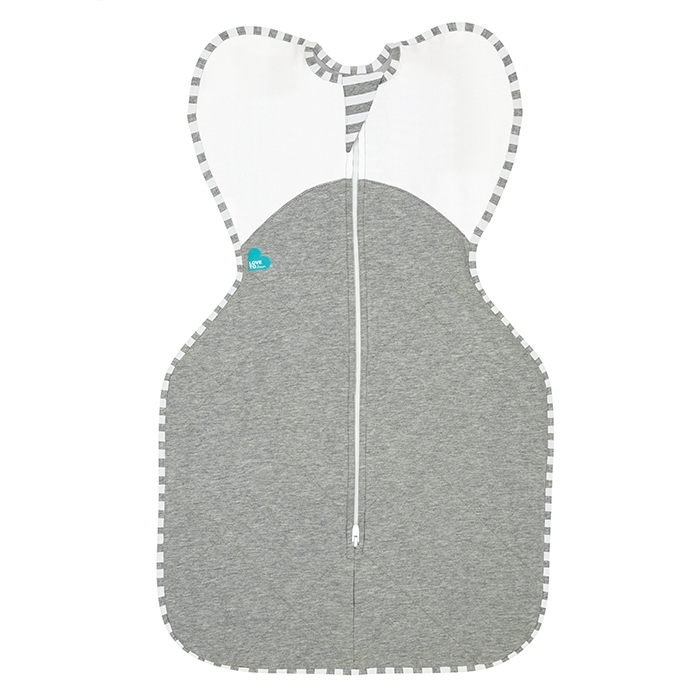 The dual zip makes it simple for you to change your child`s nappy whilst not removing the swaddle completely.